Outdoor wall up/downlight. IP44 protected. Max 2x 28W GU10 lamps, not included. LWH: 110 x 60 x 160mm. 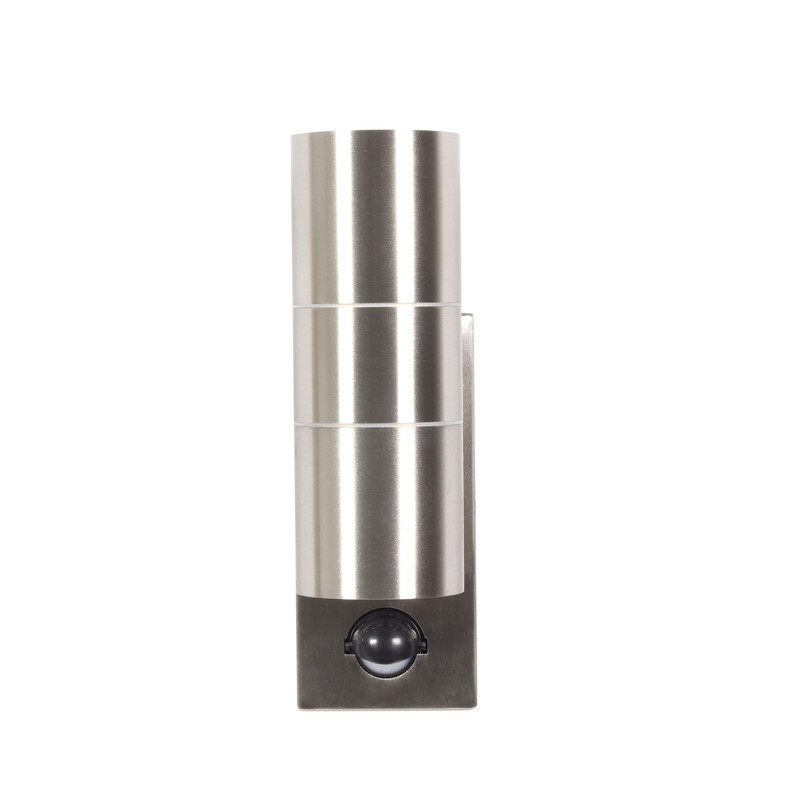 This luminaire is compatible with bulbs of the energy classes A to E.
Wall Up & Down Light Stainless Steel PIR is rated 4.4 out of 5 by 29. 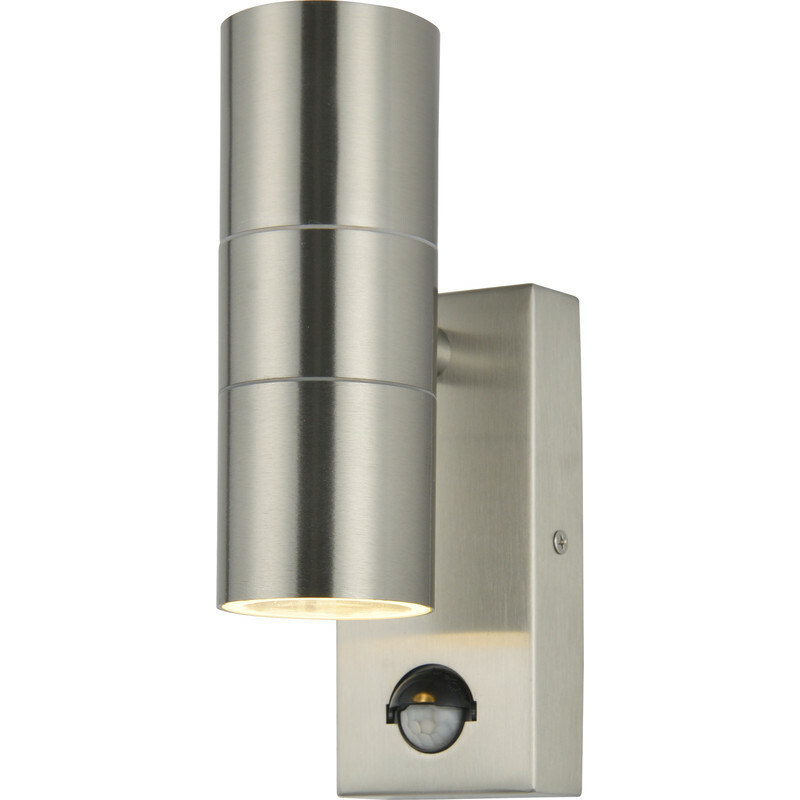 Rated 4 out of 5 by Home improver from Good product but basic The lights are attractive and sturdy but do not have a light sensor and come on during the day. Although they have a lid that can cover the motion sensor this is not completely effective. 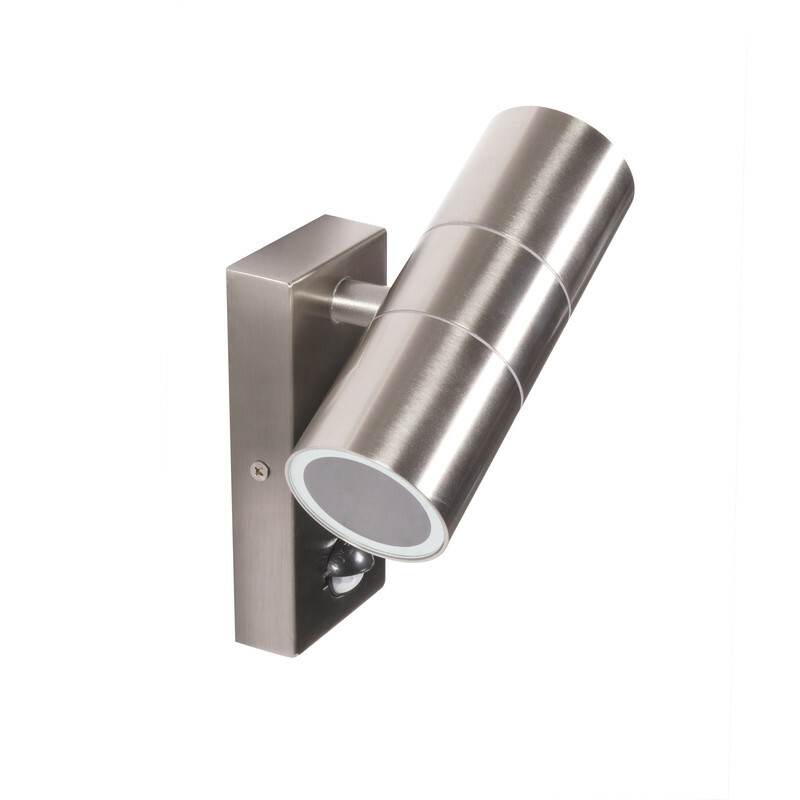 Rated 4 out of 5 by Chreeso from Zinc PIR Up & Down Light Good quality light fitting. Instructions were Poor and it didn't come with any plugs or screws. Rated 5 out of 5 by lakeman from Great product at a good price Good quality and much cheaper than other similar products we looked at. Recommended. Rated 3 out of 5 by Jill44 from Super light, rubbish instructions Very pleased with light but instructions were diabolical. Couldn't even find out which bulbs were needed. 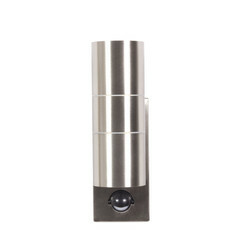 Rated 3 out of 5 by LABs from Zinc Up and Down wall lights with PIR The instructions were for a ceiling light,so unable to set PIR, very frustrating. 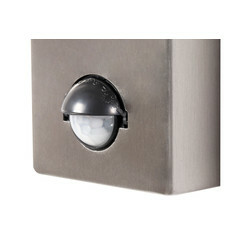 Rated 5 out of 5 by Sarahlou24 from Nice light Nice quality, installed easily and has a great effect when it lights up. We bought 2 and are really happy with them so far. Rated 3 out of 5 by Sarahlou24 from Nice lights. Bought this light last week and had it fitted 2 days ago. The light was easy to fit and looks effective, and the pir works well. Disappointed there were no bulbs supplied even though it says 2 bulbs on the box (doesn’t specify “supplied”), so for 3 lights we have also had to shell out for 6 bulbs.